A beautiful, circa 1920s, reproduction Georgian bachelors chest; with its traditional rush slide to top, three graduated drawers, and standing on bracket feet. This item is finished with original brass swan neck style handles, and veneered in a beautiful quarter cut walnut. The item is in lovely condition, with all drawer linings in solid Oak which is a sign of quality. 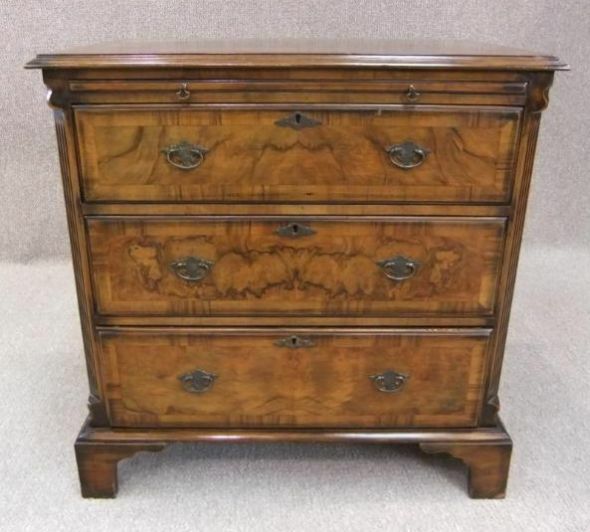 This chest is ideal for any period property.